The switchgear is turning inherently intelligent, allowing for predictive maintenance. So, the failures and downtime will minimise. 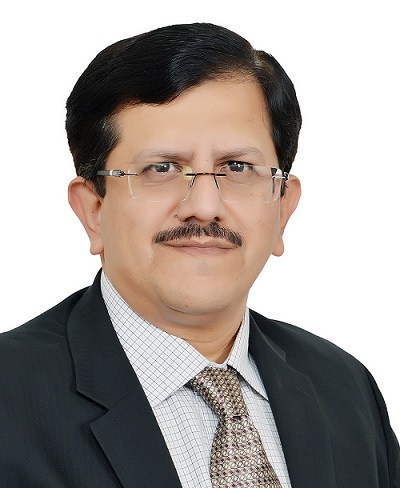 Chandrashekhar Shrotri, Head of Control Products Business, Digital Factory Division, Siemens India. What’s your take on the recent performance of LV switchgear industry in India? The LV (low-voltage) switchgear industry in India is well on its growth path, gaining strength as each quarter passes. However, the peak is yet to come. What are the key growth drivers for LV switchgears? The growth is seen in both – industry as well as infrastructure segments, driven by initiatives of Government of India such as Make in India, Smart Cities, national mission for clean rivers, road infrastructure and rail electrification. The government’s focus and initiatives for renewable power are also positive for the industry. How does the Indian switchgear industry compare globally? Indian switchgear industry today is well-integrated with the global switchgear industry. All the major global manufacturers have operations in India. All companies are selling their latest global products in India. India is a huge market, but at the same time, it is cost-competitive with its unique requirements. We are at a stage where the demand has critical volume and hence we can afford good technologies and good machinery for high-quality products and with the advantages offered by the digitalisation, we can produce at globally competitive levels. The cost-competitiveness of the local switchgear industry is reflecting in the growing exports for switchgear products. What new trends do you see emerging? The main challenge faced by the customers is of seamless integration of various digitally-enabled products such as switchgear, instrumentation and building automation. These products follow different protocols and need to be brought on the same platform. Going forward, there will be a harmonisation of these technologies and communication protocols. A new profession – IoT (Internet of Things) integrator – could emerge similar to today’s panel builder. The IoT integrator will use the IoT devices from different suppliers, integrate it with available apps or even develop the app himself. The industry is also seeing the emergence of new business models such as pay as you save. The switchgear is turning inherently intelligent, allowing for predictive maintenance. So, the failures and downtime will minimise. There will also be convergence of switchgear devices, integrating intelligence and increased safety features. Today, if you need 3-4 devices to accomplish a task; tomorrow you could accomplish the same task with only two devices, or even within a single device! The devices will be merged into each other. This would result in the reduction in footprint of the switchboard resulting in space saving and energy saving. As the renewable energy sector is witnessing a sea change, how do you see the switchgear industry evolving? As the renewable energy sector transforms, so will the need to develop and bring-to-market tailormade products and solutions. Today, this sector is served with existing products. Going forward, dedicated products will be developed for niche applications in the renewable market. How does digitisation help in improving performance and reliability of switchgears? Digitisation is the next disruptive force in the switchgear industry and it will impact the switchgear segment in two ways – the way manufacturing is done and in devices becoming increasingly intelligent. For example, Siemens India’s globally-benchmarked low-voltage switchgear factory at Kalwa is capable of producing more than 180 variants at the rate of one product every nine seconds. The plant can manufacture over five million devices annually, meeting very high degree of precision and quality of global standards. This digital manufacturing helps us enhance our efficiency, fight scale advantage of some other manufacturing countries, minimise manufacturing defect and shorten production time. On the consumer side, the disruption will be somewhat similar to what happened to cars around 20 years ago when air-conditioning was an option for high-end variants – now it is standard in all cars! Five years from now, practically all switchgear will be communication-capable and connected to IoT! What’s your preparedness in the area of ‘digital switchgear’? We have a manufacturing facility in India that is a true digital factory. Here, all the data is transformed in a digital format. This is a completely digital setup that starts at the level of product R&D and goes all the way through manufacturing simulation, building the manufacturing facility from the optimised and simulated product, and plant data. This factory is globally benchmarked and is capable of manufacturing many variants of products with a high degree of precision. We also have smart switchboards with communication capabilities installed in it. They are capable of communicating to the Cloud through the PLC. We have also developed apps on Mindsphere, the Cloud-based open IoT operating system from Siemens that connects the customers’ products, plants, systems, and machines. Using these apps, customers can track their usage pattern, start generating data, run data analytics on it to get meaningful insights on their usage patterns and see where and how they can save energy. This will improve efficiency for the users in the area of industry, infrastructure or buildings.